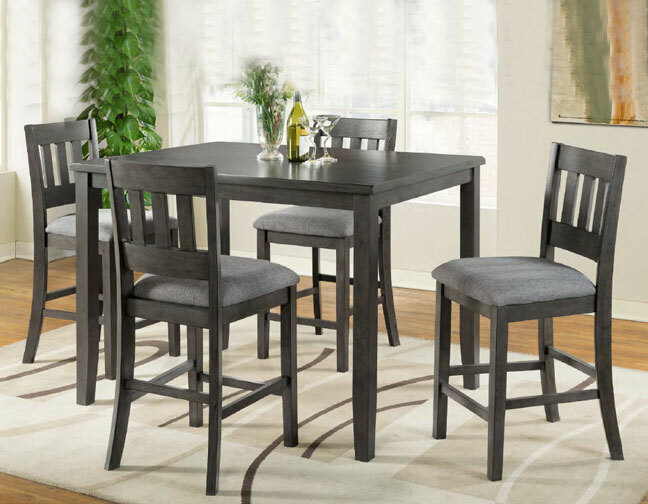 This wonderful 5 pack Ithaca Pub group features a unique grey finish with burnished edge, slopped corners and linen seating. FL Comments: Assembly required for this set. Great fit for small living spaces. Must sold as a set. Shipping Cost around $190-250 depends on location in the USA. Please email your city and zip code for rate quote.